Sagena will participate as a technology partner at the largest Slovenian marketing conference. The Slovenian Advertising Festival (SOF) is a comprehensive and critical overview of Slovenian advertising throughout the past year, and provides a mirror for the advertising industry’s creativity. The festival is organized by the Slovenian Advertising Chamber, the umbrella national trade organization in the field of marketing communications. The 23rd Slovenian Advertising Festival will take place between Wednesday, March 26 and Friday, March 28 2013 in the Congress Centre of Grand Hotel Bernardin in Portorož on the Slovenian Adriatic coastline. Sagena will cover this event as we did last year with our InformAsYouWish Digital Signage solution. 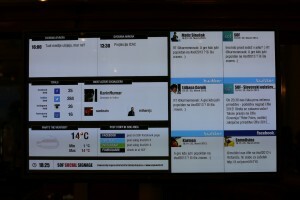 Our Social Signage proved to be the ideal solution for this type of events because we cover all major social networks. 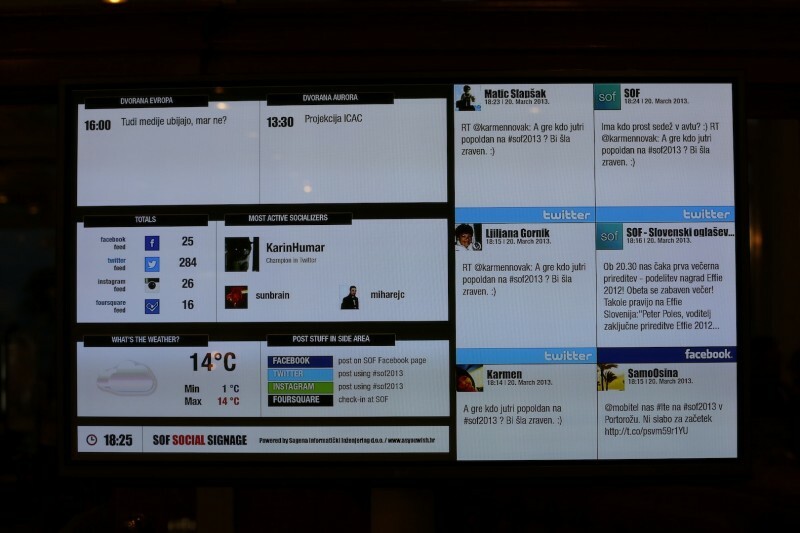 We’ll cover the conference with Twitter Wall, several screens that will display Twitter and Instagram posts, weather forecast and SOF’s Facebook page.